Hendrik Lesser is CEO of remote control productions (RCP), an international production house he founded in 2005. He is also elected President of the EGDF, the European Games Developer Federation. At D.I.C.E. Europe he'll be talking about the history of European game development, the various public subsidies available to game creators, and the opportunities available to partner with European game developers or set up shop in Europe. In the interview below, he discusses the changes that led to games being accepted politically in Europe, the advantages and challenges of working in a culturally diverse environment, and aspects of other markets he envies. At D.I.C.E. Europe 2017, you’ll be discussing how changes in the cultural perception of games has increased funding opportunities for developers in Europe. What were some of the major changes that achieved that? I think it started as far back as Grand Theft Auto 3. I would argue that it was primarily two countries that spearheaded this -- France and the UK. France because they also had a different relation to modern art, especially in the space of comic books. They were more open to games because it reminded them of comics. 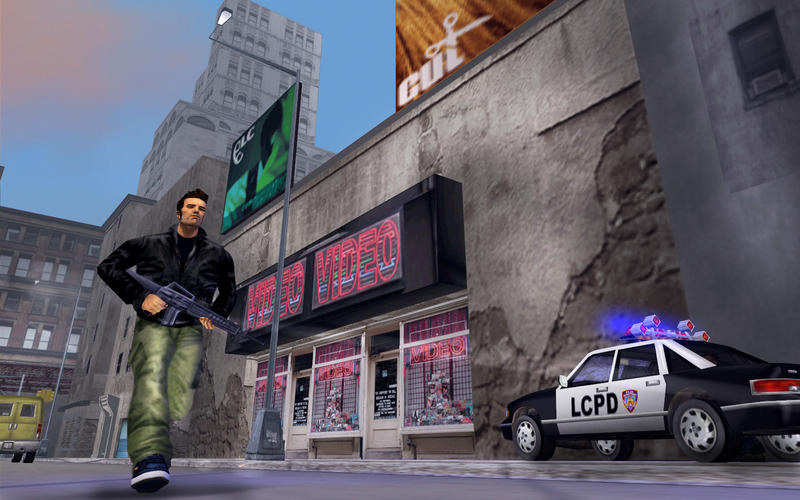 In the UK, games like GTA3 pushed the boundaries of what was regarded as culture. Then there were the Nordic countries, which understood the business opportunities for young people in the future. Europe being what it is -- a bureaucratic entity -- was very important. Nearly 10 years ago, the European Commission -- after some lobbying by the EGDF -- decided that games are officially part of the European cultural heritage. This included us in various documents. This was the birthplace of European politics accepting games as culture. It's fascinating that you mentioned GTA3 as being a trailblazer for this movement, since many politicians have tried to use that game and that franchise to portray games negatively. So it was a positive thing for game development in Europe? It has been a positive thing. I know a guy from Rockstar Games, where I used to work, that pushed one of the early new-school exhibitions for games as art. It was a guy named Lucien King. While there was the discussion going on about violence in games, he put on these exhibitions that got a lot of traction. 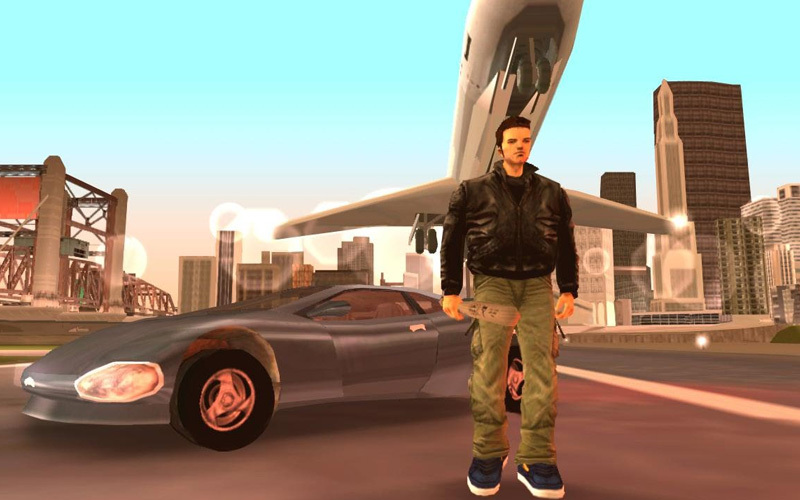 It was coming from both sides, with people accepting games as art for adults, in GTA's case. One of the tenets of RCP is to “strengthen our company, our partners and the economic location of Germany and Europe.” How have the funding initiatives in Europe contributed to this goal? I was basically socialized into the games industry with Take 2 Interactive -- one of the big traditional publishers. I always felt that there was an imbalance between the publisher and the developer in terms of power. When I founded my own company, what I wanted to do was help developers and empower those guys. It was clear that we had to something in regards to how games were financed. We couldn't empower developers while working with traditional publishers, so I had to find alternative funding sources. One of those sources is obviously public subsidies. With the change in perception of games in Germany and Europe, it became clear that subsidies were a good choice. We started lobbying for them on multiple fronts and were successful multiple times. For the people that are unfamiliar with the various European subsidies, what are some of the countries that are more generous with funding initiatives for games? France, which I mentioned earlier, has a huge cultural funding scheme. It's not only about money; they also give a very different recognition to game makers. More than 10 years ago, they awarded Super Mario Bros. creator Shigeru Miyamoto with knighthood. For several years now, the UK has had tax credits. They recently announced that they awarded £73-million in tax credits in 2016. Last year, Poland announced a huge funding program for games that was 25-million. The Nordic countries were really successful, with one of the most prominent games being Limbo. I believe that 70 percent of the game was financed by public money. With the Nordic Game Conference in Malmo, there have been a lot of initiatives to support this sector. Finland is another great example, with Supercell and Rovio. Those companies received funding from a government agency called Tekes. Over the course of 12 years, they've spent roughly 25 to 30-million Euros. With Europe having a high concentration of diverse cultures, what are some of the advantages and challenges of the creative environment? There are a couple of perspectives here, of course. If you look at it from a money point of view, we have a huge gap in regards to salary. In some Eastern European countries, game salaries can be one-third or one-fourth of what they are in the UK or Germany. This is not necessarily an advantage. On the other hand, the cultural variety is great. We always think about the unique and distinct styles each country has in regards to game making. I mentioned the French. They have a very strong focus on art. This makes a lot of sense based on the heritage. The UK never really had a problem with "Let's have entertainment for everybody! Even if it's a little more mature." It took them awhile to implement the age ratings properly, but they were much more open in all kinds of layers of society to accept that. What's really interesting is that some of the funding schemes in Europe want you to work with other developers in other countries. There are conglomerates of those working together. These aren't necessarily for classic entertainment games, but game developers can be a part of that. With all these different conferences we have in Europe -- with the different languages different styles -- you get to see how these countries approach games in a different manner. For example, Finland is very strong at international distribution and monetization, but you could argue that they lack a certain sense of how to create great narrative in a game. It's different in every country, even within their own region. You see different skillsets and you see different strengths. Some of them are based on culture and some of them are just coincidence. You mentioned that there's a lot of inter-European collaboration happening in game development. With real estate in California being as crazy as it is, are there any opportunities for companies there to set up shop in Europe? Definitely! Not only through the subsidy programs I've already mentioned, but there are a lot of regions that would offer individualized support. They would offer very specific schemes on how they can help you for the first one, two, or three years -- office space, tax credit, and whatnot. Europe is now much more a family of countries, but very much focused on region. For example, Munich is considered a triple-A region. The infrastructure is great, unemployment is low, etc. To get subsidies in this region is more or less impossible -- to a certain degree forbidden by the European Union. If you go 300km to the east, the region changes. Based on these regions' criteria, there are more substantial offers. There are lots of opportunities like those. Are there any aspects of the American market that you’d like to see the European market adopt? I would love to have the same average man-month cost. That would be great! [Laughs] Economics aside, the Americans have a long tradition. There's a great sense of professionalism, especially with the bigger teams. There's just more flexibility, as far as I can see. People seem more willing to move for game making, from Austin to LA to Seattle. We could have more people in Europe with that kind of mobility, especially if they are already senior people. That would be great. One aspect that's very obvious is access to money. Going through publishers, the Western ones are mostly based in the US. If you're in LA or San Francisco, it's much easier to meet with a potential partner or a client. It's also much easier to attract VC or investment money in California than in Europe. How about the Asian market? The Asian work ethic is very admirable. I'm not sure that it's something we should desire, to be honest, because it can be a little bit scary. Outside of Japan, since Japan has a very different history of making games than the rest of Asia, things are really interesting. What's been happening in Korea and China is just awesome. I saw one of the first Chinese-developed games 15 years ago and it was pretty crap. And now the development scene is awesome. They reached this new level of production value and sophistication. The growth in just 15 years has been remarkable. They seem to have great skill at changing themselves and iterating very fast. There are always complaints that the Chinese could be huge competition, but we forget that they already have huge competition within their own country. It can be fought very fiercely. I could tell you a lot of stories that you could use to tell your kids if you don't want them to sleep well -- lots of threats, violence, and stuff like that. The crazy stuff aside, the ambition level is very impressive.